Electricity is a vital part of facility operations, but it can also pose an extreme health hazard in those facilities. 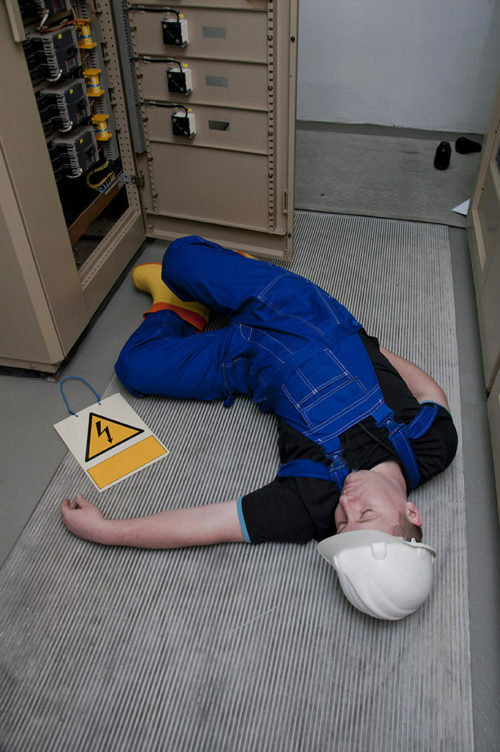 Electric shock can cause severe injury, or even electrocution. According to the Occupational Safety and Health Administration (OSHA), an average of five workers are electrocuted every week in the United States. Everyone in your educational facility is exposed to some amount of electricity, but certain employees, students and researchers are at a higher risk of electrical shock due to the nature of their work, or the equipment they use on the job. Fortunately, there are several preventative measures that your institution can take to increase electrical safety in research and educational institutions. To help prevent accidental injury or death, everyone in a facility who will be working with or around dangerous electrical equipment must be provided with adequate electrical safety training. Atoms are made up of three subatomic particles: protons, neutrons, and electrons. The center of an atom is called the nucleus and it’s made up of protons and neutrons. Electrons “orbit” around the edge of atoms. When an electron is freed from orbiting an atom, an electrical current is formed, and the electron moves from its original atom to another. Some materials are more prone to moving electrical currents than others. Materials that eagerly permit the movement of these free electrons are called conductors and include metals such as copper, silver and aluminum. Materials that have few, if any, free electrons and do not transfer electrical energy well are called insulators. Examples include rubber, wood, plastic and glass. When human skin is dry, it is a good insulator, but when moistened by sweat or other liquids, its resistance drops dramatically, making it a “ready” or good conductor. It only takes a shock of 75 milliamperes to cause a rapid heartbeat that can’t effectively pump blood throughout the body. This is known as ventricular fibrillation. 75 milliamperes is a relatively small amount of current—a small power drill, for example, uses more than 30 times that voltage. If untreated, ventricular fibrillation can cause death within minutes. Electric shock can also cause burns, falls, and other injuries. 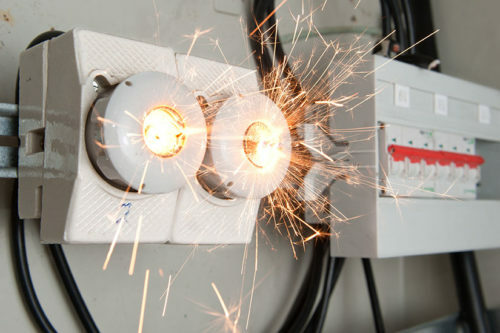 Electricity is also one of the most common causes of fire in homes and workplaces. 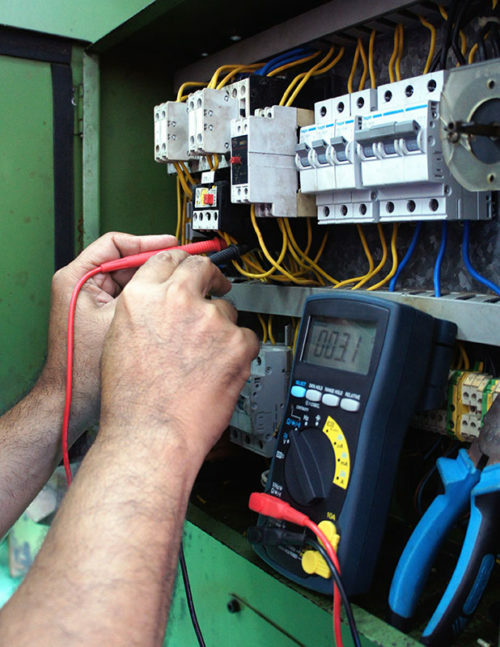 Finally, electrical malfunctions or misused electrical equipment can also cause power surges or outages that can damage equipment or ruin people’s work. Electrical tools and equipment can cause shock, burns, falls, fires, power surges, and more. To avoid these hazards, you should provide proper safety training to all staff, students and researchers who will work with or around electrical equipment. Your institution should also have site-specific safety procedures, like lock-out/tag-out requirements or special PPE requirements, depending on what exact equipment you use. One of the best ways to prevent electrical hazards is by regularly inspecting, maintaining and repairing all electrical tools and equipment in your institution. SafetySkills covers these topics and more in its Electrical Safety for Research and Education course. For more information, click here.